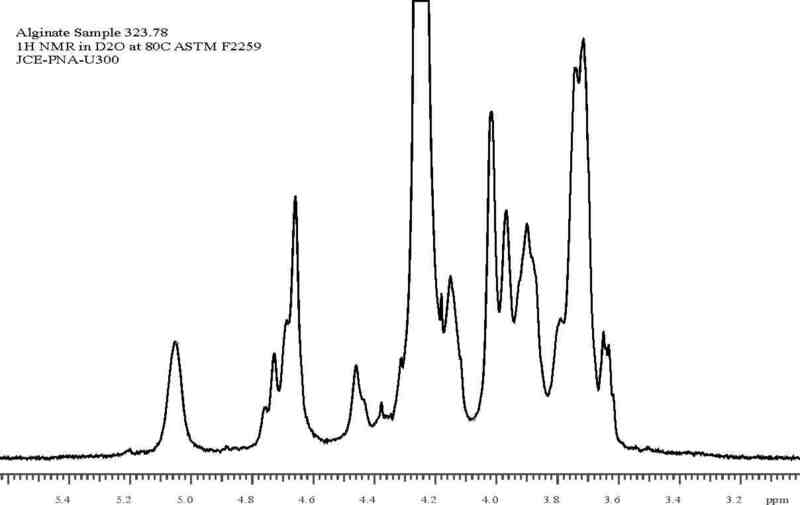 Finally the peaks representing the individual M and G components and sequences are deconvoluted from the spectrum. 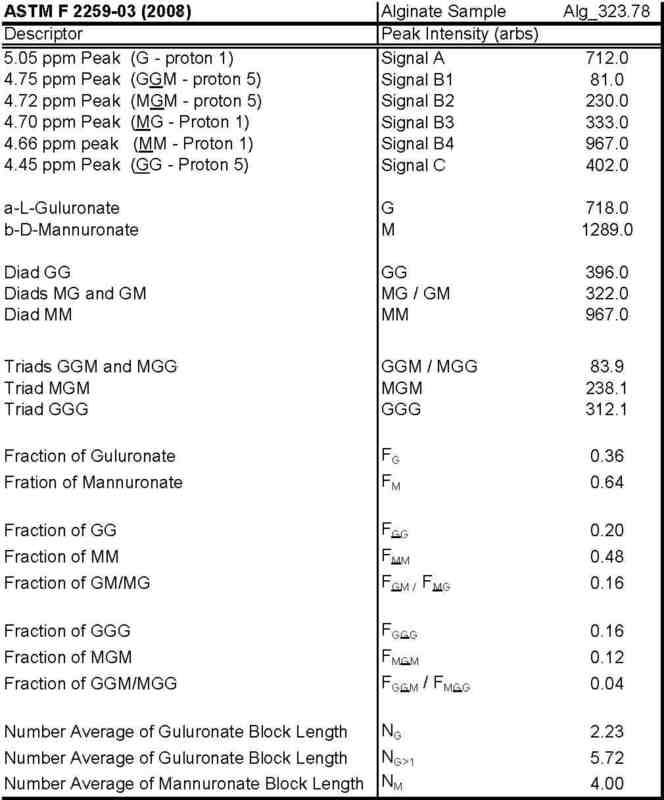 The intensities obtained from the deconvolution are input into the excel spreadsheet shown above and the various ratios, M and G content and a series of diads and triads are calculated along with some G block length information. 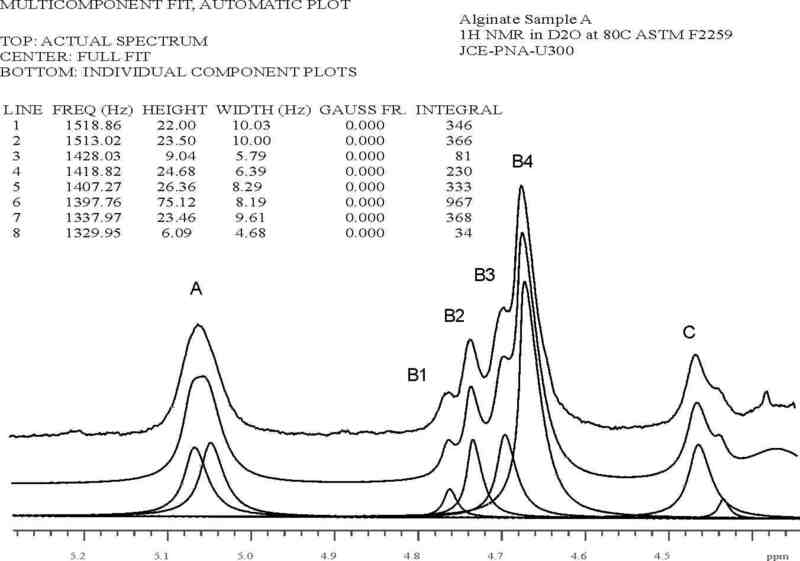 It is the block length information that often reveals telling differences between samples. 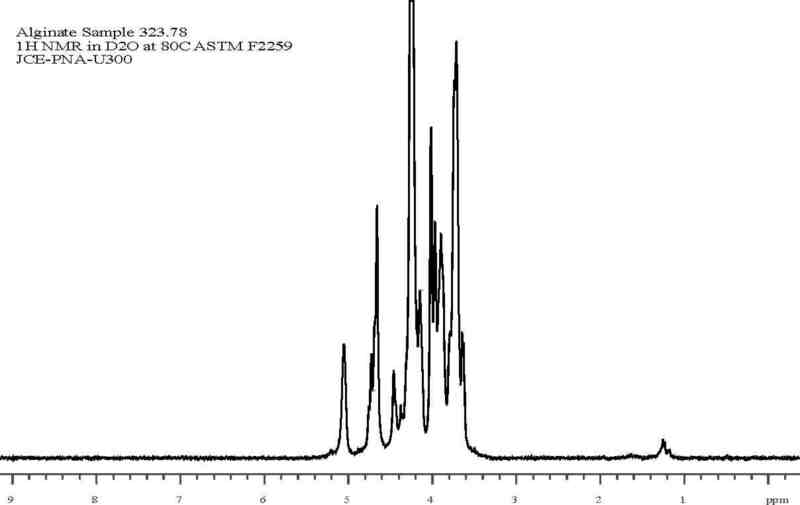 Process NMR Associates performs this analysis at a cost of $225 per sample. The samples, however, must be prepared by the customer using the methodology set forth in the test method.